I don't know about you, but my child loves to snack. It's the one thing we get through a lot in our home. 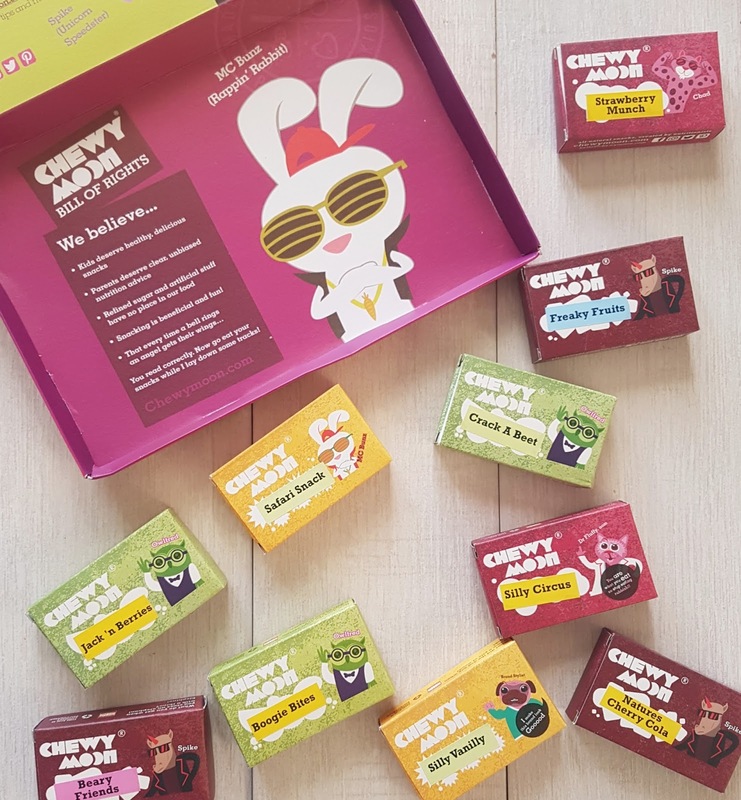 And I am always on the look out for healthier options.Luckily Chewy Moon got in touch to asked if we wanted to review a Chewy Moon box. 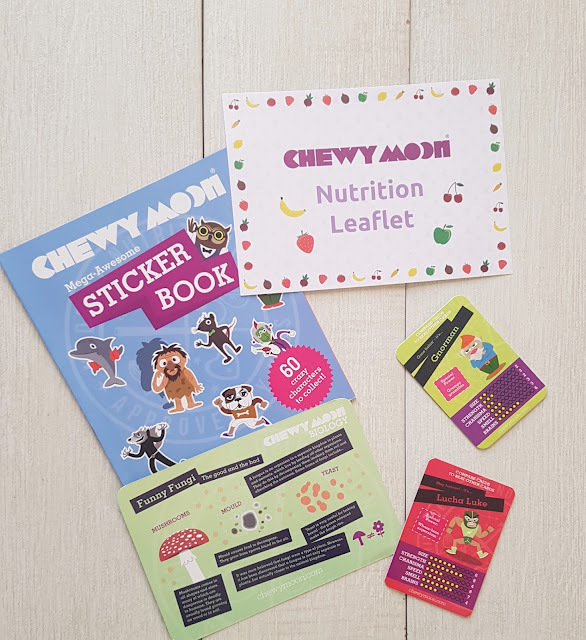 If you havent heard of Chewy Moon they are a healthy snack box for children which gets delivered to your front door every fortnight. The subscription box costs £4.99 each fortnight and you get your first box for free!! To start off with you have to complete a questionnaire. Simply tell them your child’s age, activity levels, body type, hobbies and interests and rate each snack online. That way, they will know your child's likes and dislikes and they will put together a box that your child will love. 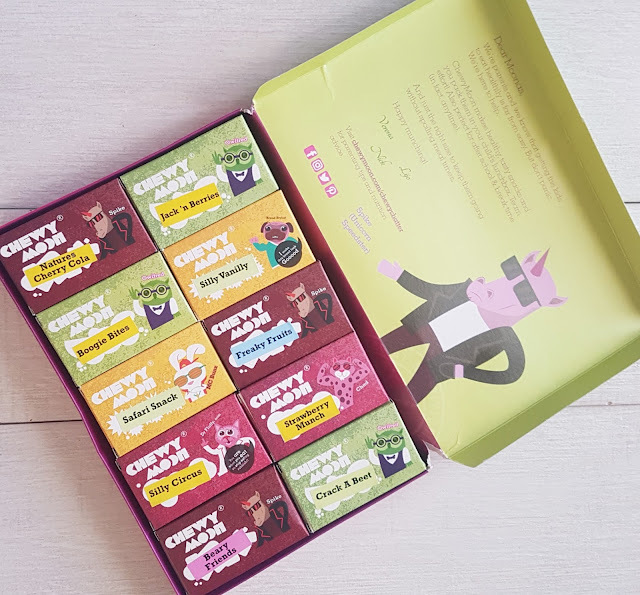 Each Chewy Moon box comes with ten separately packaged snack boxes. All with different and quirky design. If your child is obsessed with stickers, they will love the sticker booklet which is included in the subscripton box. They can collect various Chewy Moon characters a perfect way to keep them occupied whilst their snack. Children should be only allowed to have two snacks a day which are 100 calories a day or less. 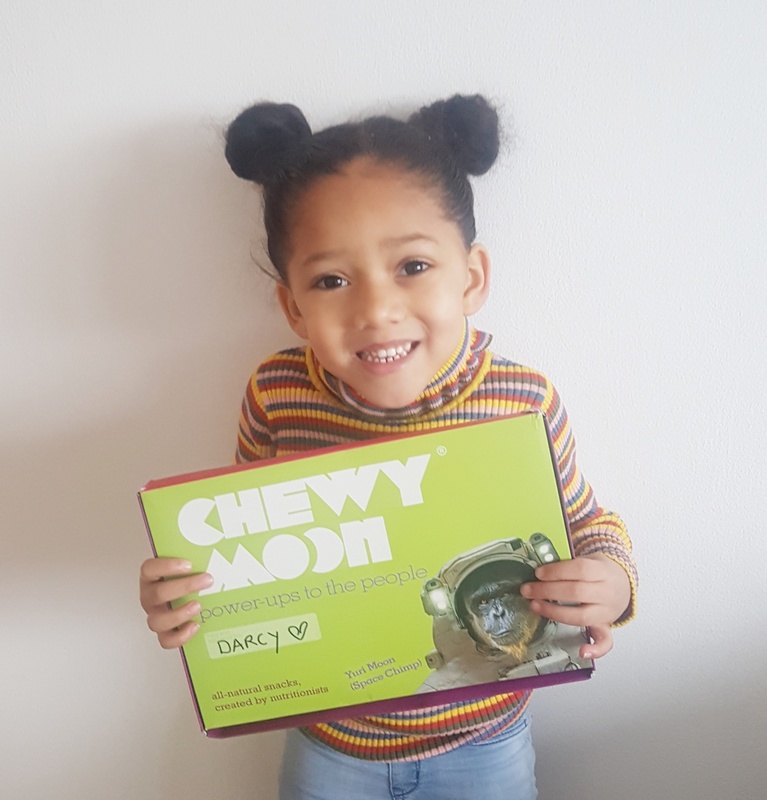 Chewy Moon healthy and tasty snacks are perfect for break times, lunch boxes and after school snacks.